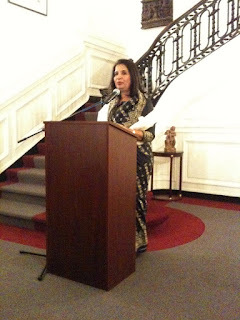 Back from an exciting visit in D.C. for the South Asian Literary and Theater Arts Festival, hosted by the Smithsonian Institution. I'm grateful to the Smithsonian, the host of volunteers who took such good care of us, and my fellow presenters. 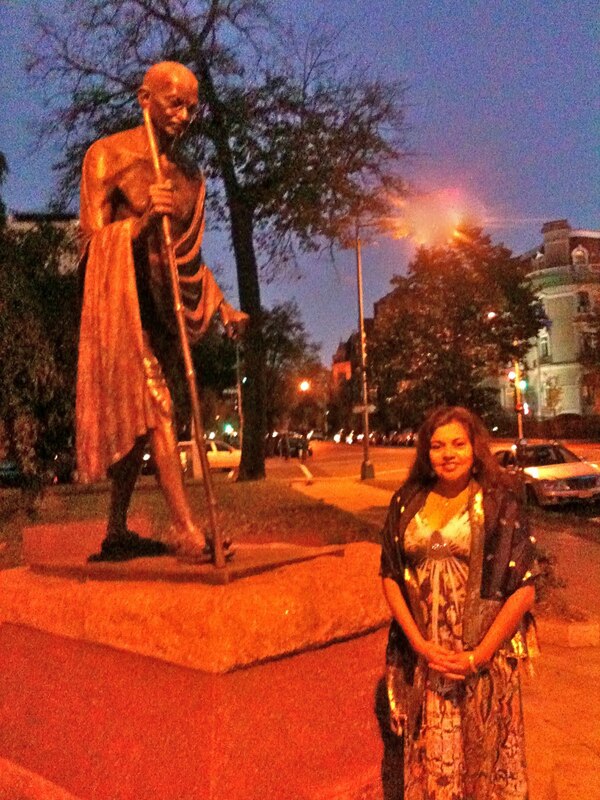 My weekend started at the National Zoo and culminated with a feast at the Embassy of India. 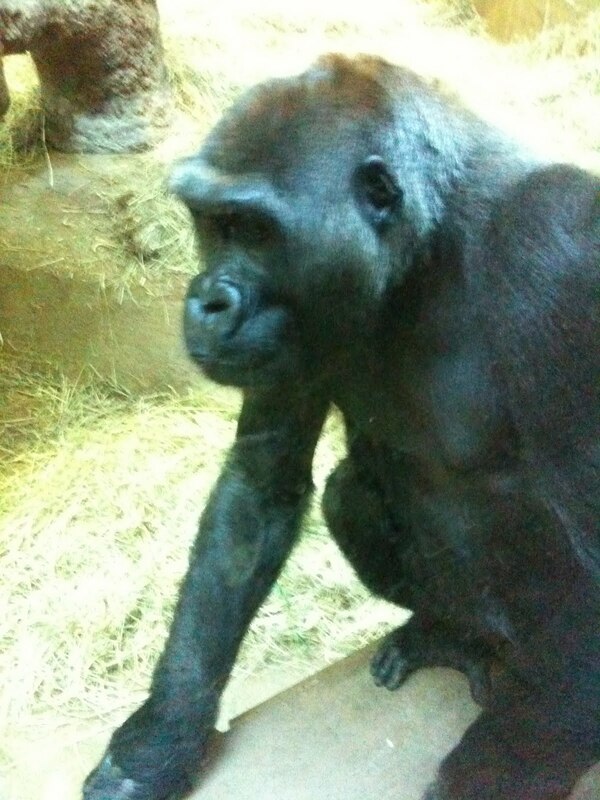 My hotel room wasn't ready, so I walked to the zoo on Friday afternoon to hang out with this dude. 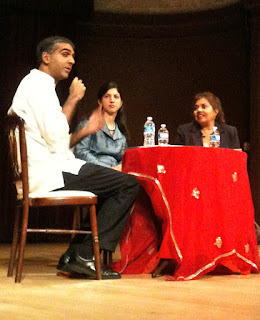 As the Festival began, novelist Aatish Taneer (NOON) was interviewed by the executive producer of NPR's Morning Edition, Madhulika Sikka. 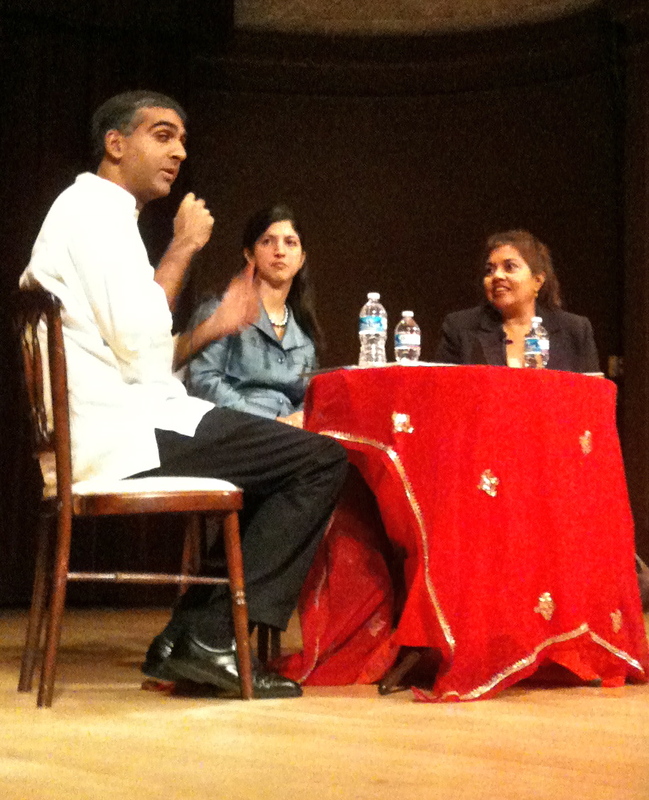 I spoke on a panel with Nina Godiwalla (SUITS: A WOMAN ON WALL STREET), moderated by Sriram Gopal of DCist fame. 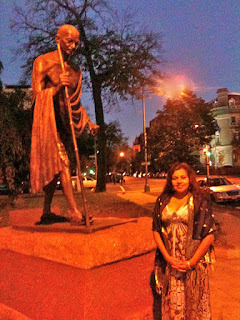 Gandhiji and I outside the Embassy of India. 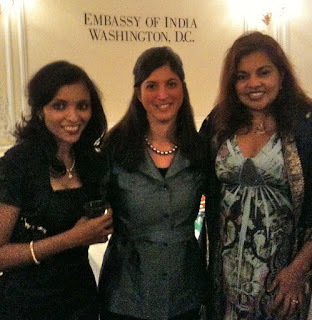 Isha Roy of Global Newswire India, author Nina Godiwalla, and I enjoyed our chat at the reception. 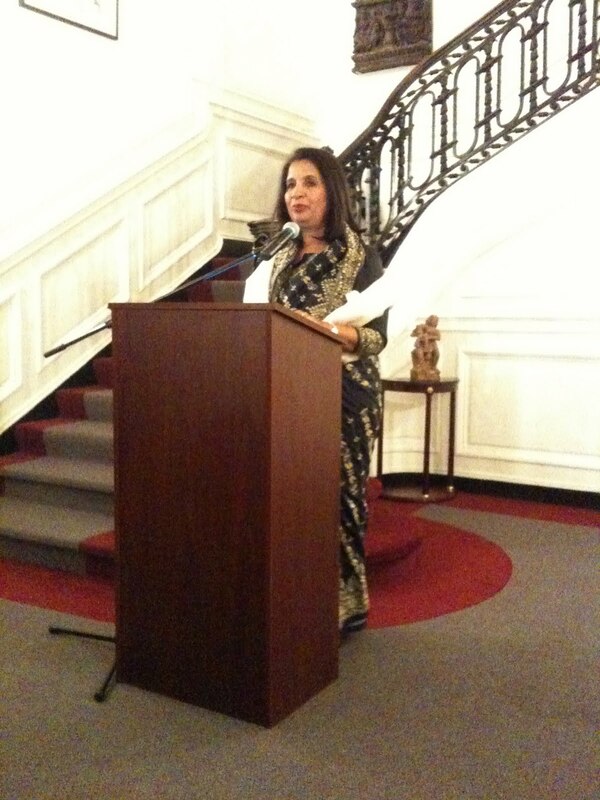 Ambassador Rao descended the staircase in a gorgeous black and gold sari and encouraged us to pursue literary excellence with Mother India cheering us forward. 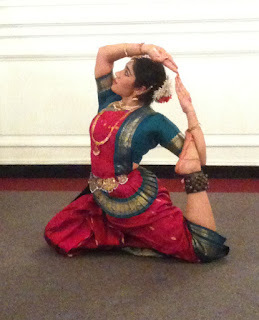 We were entertained by Bharat Natyam dancers and a Bollywood singer. Last but not least, nobody feasts like Indians.